Move-in ready in Golden Valley! New windows, front & patio doors, HVAC, showers! Gorgeous sunken living room w/ vaulted & beamed ceiling, fieldstone fplc. Hardwood floors thru upper level & 3 brs. Square kitchen w/ lots of counter space, eat-in area and separate dining room. 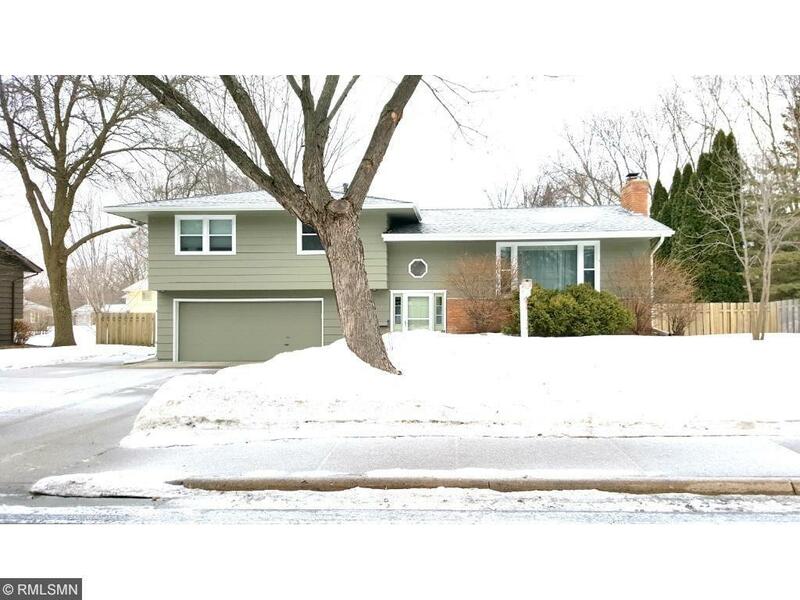 Spacious LL family room w/ fieldstone fplc, bedroom w/ walk-in closet and 3 / 4 bath. Large deck overlooks flat fully-fenced yard! Well-kept home. Walk to SEA school, library, coffee, dining, parks.